Now that I promote negotiating salaries to women, I get to hear the “war” stories of women who have negotiated higher salaries for themselves. I also hear from women in unions that they don’t need to worry about this since the union takes care of it for them. I took them at their word and left it at that. That is until recently. Recently, I talked with a woman who works for a public school system and is a member of a union. Even though she belongs to a union she did not assume that the union had taken care of everything for her. So, after six months of working in the school system she met with her boss and discussed salary and her total compensation plan. Both she and her boss needed to stay within the guidelines negotiated by the union but there was room for a higher salary, which she got. She opened my eyes and reinforced that we all need to spend some time researching our options. 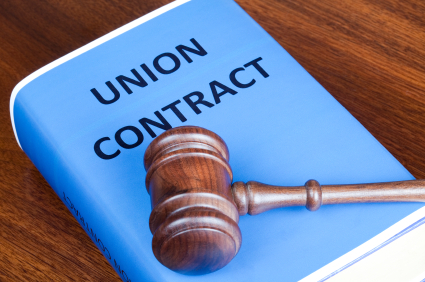 The research can include contacting your union representative and reading the current union contract. Just remember you may be missing out unless you have proof that you are making as much as you can for the job you are doing. This entry was posted on June 28, 2011 by Katie Donovan in Equal Pay, Job Research, Women Negotiating and tagged salary research, union negotiations.